I know...half of you reading this are making horrible faces...that is if you're still here. 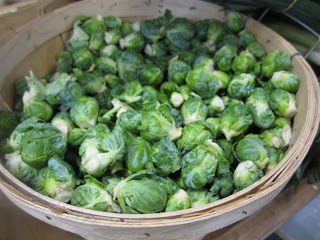 The other half are drooling and wondering what I'm planning on doing with these cute little Brussels Sprouts. 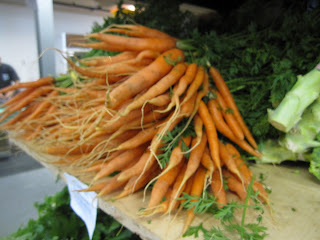 And I will be sharing, but first about last week's trip to the Halifax Seaport Farmers Market. Going early Saturday mornings always makes me smile, but never as much as when the seasons change. Those first fiddleheads ushering in Spring...berries & corn in the height of summer. ..
And now there's lots of gorgeous early Fall bounty like these carrots to make more Carrot Cardamom Jam which was such a hit, we're almost out! 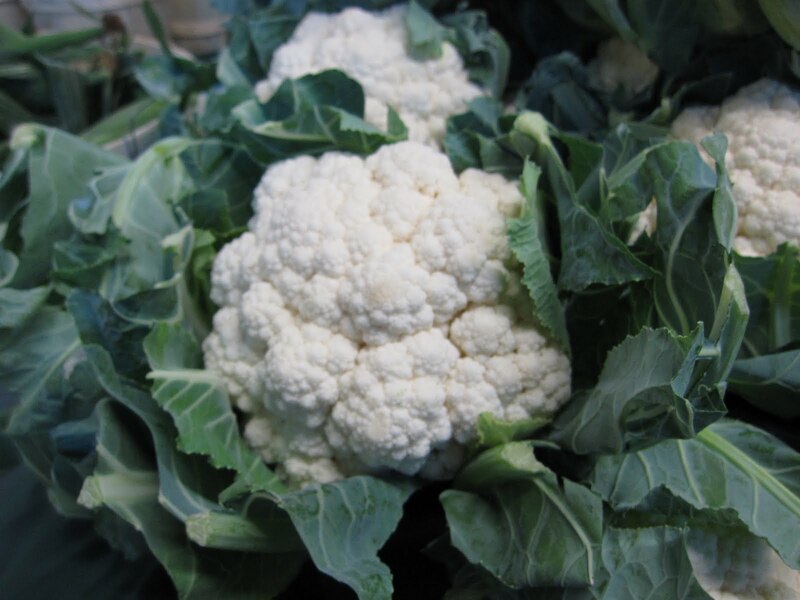 And these adorable young cauliflower all decked out in their green ruffs. The latest fineCooking magazine issue had several suggestions, including tossing florets with anchovies, capers & Parmesan cheese. I've made something similar before, but this one sounds truly easy and has me drooling as I write. Tomatoes of every shape, size and heritage are showing up. 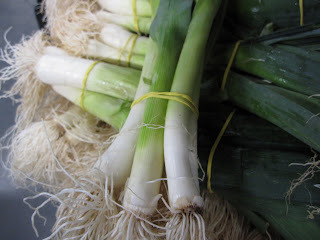 Frankly, I love them just sliced and drizzled with a little olive oil and balsamic vinegar or lemon juice. Slender young leeks with long white beards will definitely partner beautifully with all the mushrooms & spinach I can get my hands on to make an oldie but goodie soup. But we're really here to talk about Brussels sprouts. And, although I actually bought the Donna Hay Winter 2010, Issue 51 because of the gorgeous pasta with pancetta, fried sage & porcini crumbs (and not a Brussels sprout in the entire issue), I was also enticed by the many ways fineCooking Magazine, Oct/Nov, 2010 chose to cook Brussels sprouts. 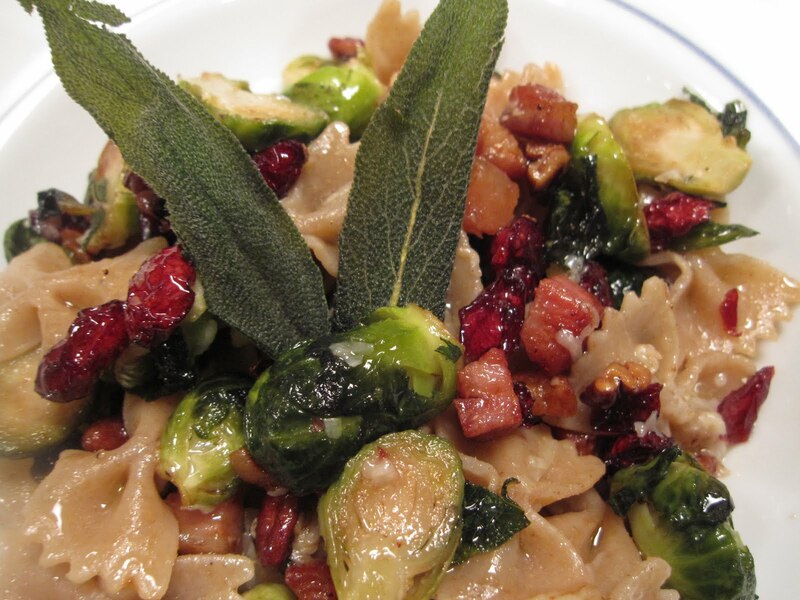 So...I decided to go my own way, marrying all the options and came up with this Fall Farfalle with Brussels Sprouts, Pancetta & Pecans. 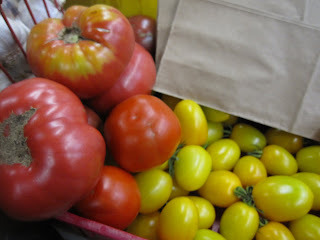 And I'm going to share it with Presto Pasta Night, hosted this week by the awesome Abby of Eat the Right Stuff. You can too, just send her an email with your link to abby (at) eattherightstuff (dot) com and cc ruth (at) 4everykitchen (dot) com and join us all on Friday. Boy, does that sound good. And, Bob the great big Brussels Sprouts eater here, will just love it. I love brussels but I think I'm the only person in England who does! Claudia, I did have to try a bunch of times before my family started to enjoy them. Abby, here they're just a harbinger of Fall. Scott, I bet there's a secret bunch of Brussles sprouts lovers there.